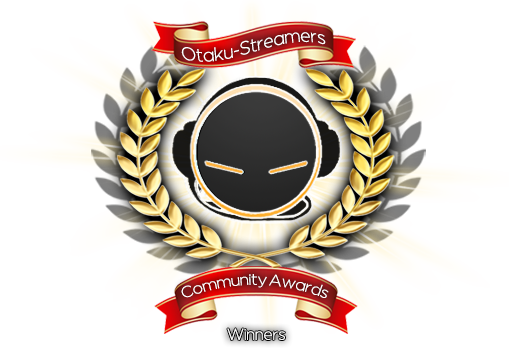 It's time to announce the winners of the 2016 Otaku-Streamers Community Awards! Below you will see a listing of the first and second place winners in each character. In some categories it was quite close. Some outcomes were completely surprising (to me, at least). So, did your favorite series/character/opening/ending win? What did you think of the OSCAs this year? As per tradition, a gold or silver trophy will be added to the pages of the winners for first and second place winners, respectively. Second Place: Dungeon ni Deai o Motomeru no wa Machigatteiru no Daro ka? Last edited by Ceres; 08-07-2016 at 09:35 PM. Got No regrets at All I have to say is that this anime series, characters and openings are the ones that most Impacted in the hearts of people just gotta say that the ones the won really are the best. I also tried to change my choices but I also like the ones that won. "I didn't choose THUG life, THUG life chose me"
yes! Best Female Loli Mercury! It seems Saitama remains undefeated even in polls. Even though I didn't vote for One Punch Man, I still think its well-deserved. I don't usually watch any superhero-type shows, but One Punch Man was very good. I have little doubt that a second season will be announced soon. I need to check out what all the fuss is about Rory Mercury. I didn't watch Gate as it didn't seem all that interesting, but she sounds like a cool character based on what I've read and her popularity here. ohhh my waifu wins ! Rory Mercury ftw!! "Okay, and that's the end. For an ugly guy like me, a love story won't just start out of somewhere. This is reality"
This just makes me wish I had participated in nominations! Next year for sure. I definitely need to check some of these out! Don't hesitate to have fun, free yourself..
Chase your dreams better yet, Stab it with a spear!